Paul G. Harris (ed. ), Confronting Environmental Change in in East and Southeast Asia (Routledge-Earthscan/United Nations University Press, 2005). As their economies and populations expand, almost all Asian countries are experiencing profound ecological problems at the national, regional and global level. While the countries of East and Southeast Asia are often the victims of environmental change, they are also complicit in causing it at home and abroad. Confronting Environmental Change in East and Southeast Asia takes foreign policy considerations into account in its analyses of how states and other actors in East and Southeast Asia confront environmental change through international cooperation and environmentally sustainable development. The first section of the book examines many of the actors, institutions and forces shaping environmental diplomacy and foreign policy in East Asia, with a focus on China and Japan. The second section takes a deeper look at the relationships between ecological politics, international relations and environmentally sustainable development in East and Southeast Asia. Several chapters focus on how environmental foreign policies impact countries in the region as they endeavor to implement environmentally sustainable development. 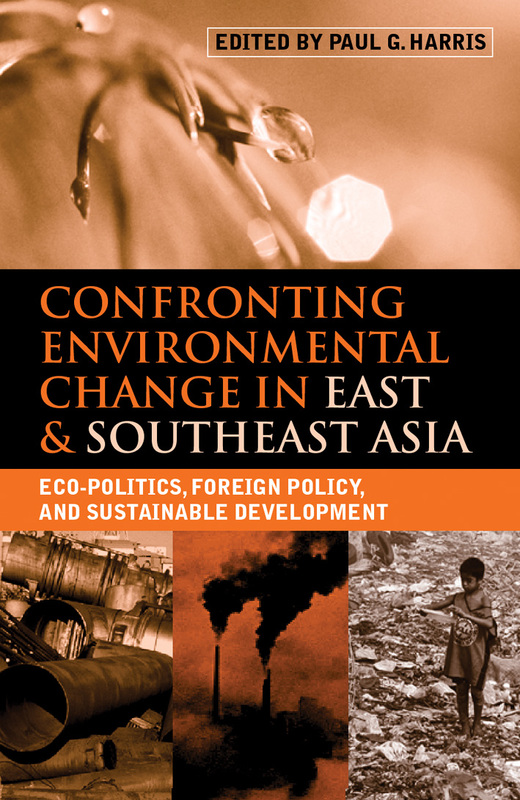 Together, the analyses and case studies in this volume illuminate how environmental change is confronted (or not) in East and Southeast Asia, with a host of important insights for researchers, governments, policy-makers, conservationists and business people dealing with the profound environmental problems facing the region.